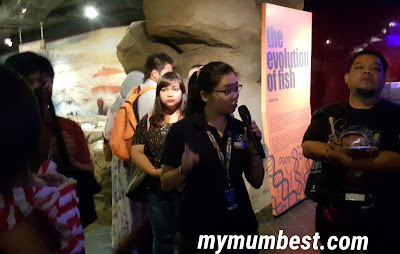 Early morning Saturday, we are ready for the Bloggers JAW-SOME Day 2016 at Aquaria KLCC. 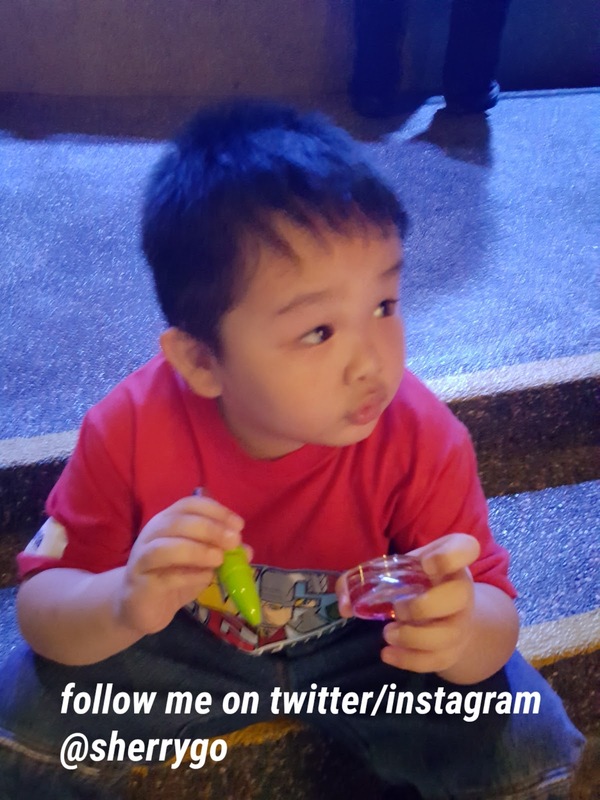 Being mommy blogger, I want the best for my family. Since it's a family event, my family is excited. It's our first time to enter the grouper hall (mph), I didn't there's a nice hall that is big enough to have an event or party inside. 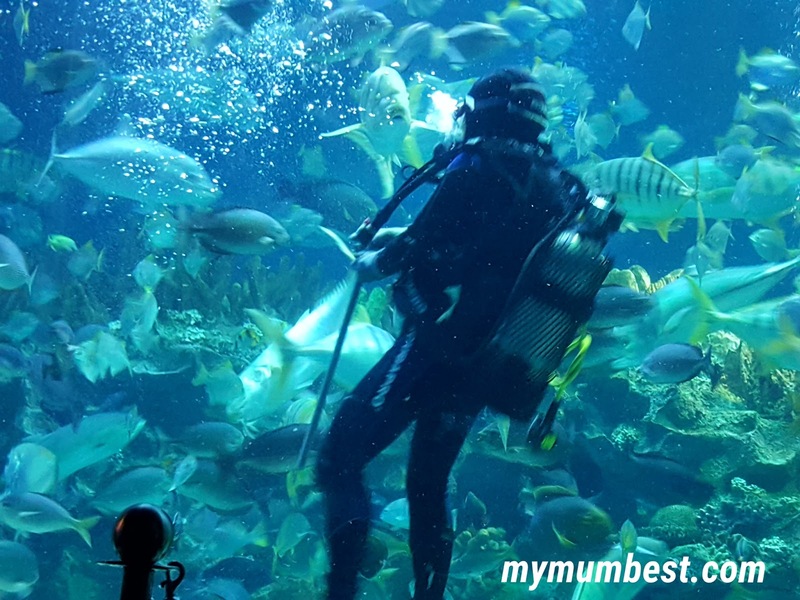 This place is nice if you have interest to have a birthday party, product launch, a marriage proposal, corporate event or private function, Aquaria KLCC is one of the best casual fun venues with a diverse and spectacular range of settings. All bloggers awaiting in grouper hall (mph) for the event to start, after event we also head back here. Lunch is provided at the venue. We have guided tour during the event, if you have interest to find guided tour. 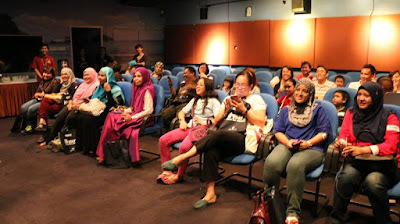 You can reservation for it, it is 45 minutes tour, RM191 inclusive of GST. Prior booking is required to avoid disappointment. Here are just some random photos take during the event, there are many more which is not in the blog post. Don't forget to bring along mosquitoes repellent, and turn off your camera or hand phone flash light if you want to take photo. 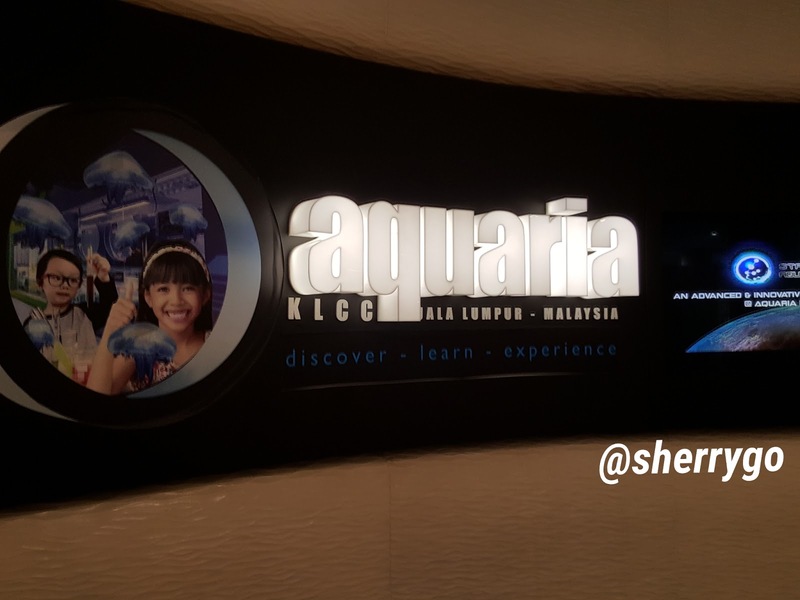 Aquaria KLCC is an educational platform for the public and the younger generations. 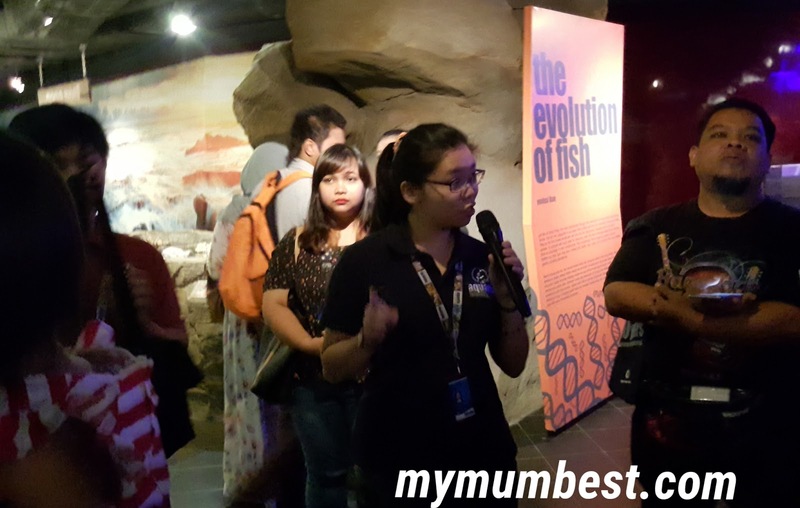 Over the past 10 years, Aquaria KLCC has successfully launched several campaigns, sharing the wonders of the ocean to inspire conservation, education and sea ethics. During this event we learn about protect ocean life, as oceans are the largest ecosystems on Earth, they are the Earth's largest life support system. To survive and flourish, we all need healthy oceans. Avoid throw any rubbish in ocean, the ocean cannot digest rubbish like plastic bag. The poor sea turtles will get stuck with the plastic or ate it which caused it not able to digest and can die. It's educational place where you and your family will enjoy too. I find it interesting as my sons also want to know see more and know more. We manage to capture this beautiful spotted garden eel, can you spot in on the photo above? Here's a closed up photo of it. 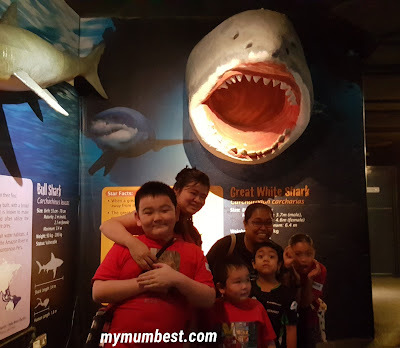 In Aquaria KLCC we can see big sharks and small sharks, there is a living ocean that we can see Sharks' Den. 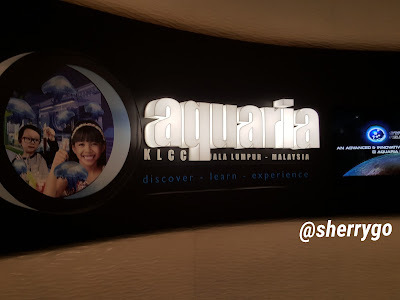 Don't worry you won't get lost in the Aquaria KLCC, you can get a map to see where you are going. Unique, Fun and Joyful feeding sessions that we didn't want to miss on the Saturday. We waited til 12 noon at Aquatheatre. 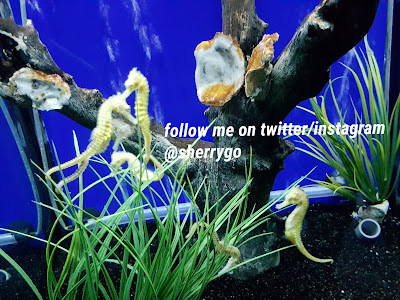 They have professional aquarists feed the fishes and inverterbrates daily. 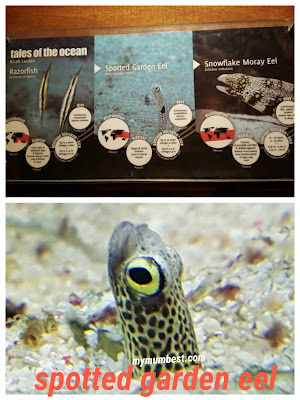 This is the time you get to witness marine life enjoying their food in the live action. Their behaviours are best observed during feeding time. My son likes the pen and fridge magnetic of the Aquaria KLCC. He keeping them in the pockets throughout the event. Look behind us, what is that marine life beside the schooling fish. 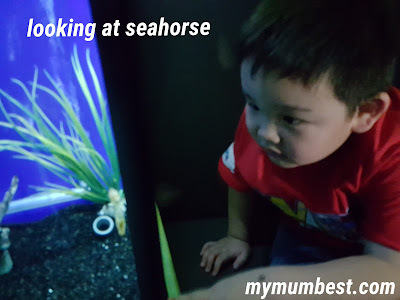 It's my son first time to see seahorse, yeah it's small seahorse that he can't take his eyes off. 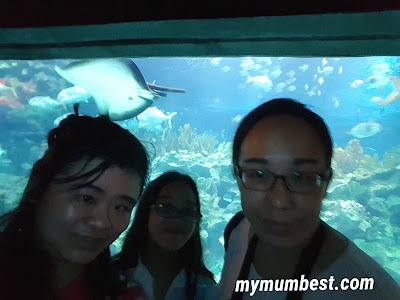 To view more photos on the Bloggers JAW-SOME Day 2016, click on the link to view. 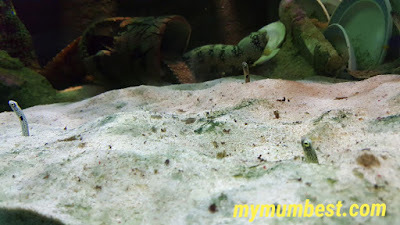 Besides that many packages available in Aquaria KLCC. There's marriage proposal package available too. They have three types of marriage proposal package, a. 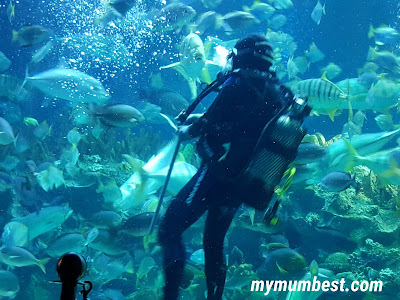 Romance Proposal, b. Cage Rage Proposal and c. Dive with Sharks Proposal. How about sleep with the sharks? Would you be afraid? Head to my son's kid blogger blog to read about this as he mentioned it in his blog post. Last not to be missed is to visit the station aquarius. It's fun to step into MOON Lab's Holodeck in Station Aquaris and be apart of an immersive augmented reality journey through time! See the animals from the past and present, if you love dinosaurs, watch this space! Nice family outing. My children want to go too. Plan for it at our next trip. yeah Jane, a nice place for family to visit. :D Can bring them this coming school holidays.